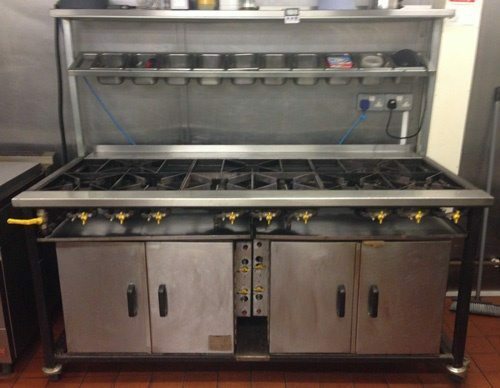 This 9 burner range was initially sold into an Indian restuarant kitchen. Therefore if you are starting up your first Indian/Asian style restaurant on a budget this would be ideal. Complete with overhead Spice rack and handy shelf to the rear of the range and with 2 x drop door ovens under. 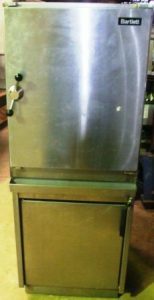 With powerful open burners – perfect for rapid treduction style cooking. W184cm x D80cm x H140cm – to the top of the rear shelves.